PayPal is an on-line money transfer service. Used worldwide for secure transactions over the Internet. PayPal users may send money to another account since its function is identical to that of a simple bank account. The encrypted pages of PayPal ensures for 100% secure transactions. Only PayPal is familiar with the credit cards information while the receiver takes only money and not cards number. Payment on delivery with the delivery of your order via courier ACS or Door to Door ( Post office courier) or by Post office. The process for your payment is undertaken by Piraeus bank ensuring the absolute safety of your transaction. When inserting your card data to the system the bank does not charge you with the amount of your order but binds it. You are charged the pricing of your order. For further security, electronic transactions by credit card are made with the security system Winbank Paycentre of Piraeus bank. Thus, during the purchase process by credit card, the customer is automatically transferred to a secure server at the service Winbank Paycenter of Piraeus bank. All the data that has been transferred electronically from the customer (credit card data) at the service Winbank Paycenter of Piraeus bank, and their transfer from the bank by Visa or Mastercard are secured by the encryption algorithm SSL 128-bit Veri Sign, the most powerful encryption that presently exists worldwide. The data of your credit card is not stored, but used only during authorization and charge ensuring that the transactions you make with evAngelosjewellery.com by credit card are completely safe. 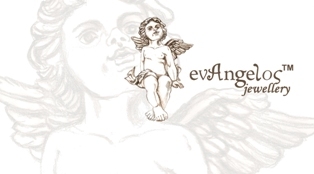 Please note evAngelosjewellery.com does not collect or store the data of your credit card in any way, so you should re-enter them every time you use your credit card for transactions on this site. You can choose to pay for any of your chosen product(s) in monthly installments. The credit cards of the respective banks participating in the program of free monthly installments are below. Only the credit cards listed below offer interest-free monthly installments.